A new tax incentive could mean big money. But questions remain about its equity implications and whether the industry will use it. Clean energy advocates are working to raise awareness about a “giant money fire hose” made available to the industry starting this year. The glut of cash, tied to a portion of the federal Tax Cuts and Jobs Act of 2017, stems from an incentive framework called Opportunity Zones. The sleeper provision offers tax benefits to equity investors that put money into over 8,700 designated “economically distressed” opportunity areas. It’s designed to encourage investment in low-income communities that haven’t seen equal attention from investors. Spain’s renewables industry is celebrating proposed legislation that could provide plant owners with guaranteed income for up to 12 years. The regulatory framework would give renewable energy plant owners the option to stick with their current level of remuneration until the end of 2031, or switch to a formula based on the weighted average cost of capital that will be reviewed after six years. The closure of the Bureau of Ocean Energy Management delays Vineyard Wind meetings. Vineyard Wind has emerged as the first U.S. offshore wind project to face delays caused by the ongoing federal shutdown. Avangrid Renewables and Copenhagen Infrastructure Partners were due to start building the 800-megawatt wind farm off of Massachusetts this year, but they have already seen postponements to two public meetings relating to the project’s draft environmental impact statement. The Spanish Wind Energy Association (AEE) yesterday welcomed the Ministry for the Ecological Transition’s (MITECO) draft bill determining the rates of remuneration for renewable power, intended to guarantee reasonable profitability. The state is giving the solar sector more time to figure out how to overhaul the current system of financing the installation of solar arrays on homes and businesses, a program widely criticized as too costly. Despite ranking as one of the most successful solar programs in the nation — more than 100,000 solar arrays have been installed in New Jersey — it has long been faulted as too expensive to utility ratepayers who subsidize it. The sector employs more than 7,000 people in the state, with an investment topping $10 billion. Donald Trump can huff and puff until he is blue in the face about the wonders of burning coal to make electricity, but experts in the field of renewable energy tell Inside Climate News that 2018 was a “fulcrum year” for energy generation in the United States. The old paradigm that has been in place for 100 years was ushered out and replaced with a new paradigm that will prevail into the foreseeable future. “2018 has been a turning point, as some utilities are beginning to make decisions based on the market of the future rather than that of the past,” says Howard Learner, president and executive director of the Environmental Law & Policy Center. The Midwestern states are ground zero for the transition to renewable energy. “In the Midwest in particular, renewable energy is a win-win for utilities and the ratepayers at this point,” says Travis Miller, director of utilities research at Morningstar. Lawmakers in Washington D.C. ended 2018 on a sustainable note; the City Council of the District of Columbia voted in favor of passing the Clean Energy Omnibus Amendment Act of 2018, which will implement a goal of 100 percent renewable energy by 2032. A “politically easy” move or an ambitious target? New York Governor Andrew Cuomo announced Monday that he will push for New York to transition to 100 percent clean electricity by 2040, in a statement outlining his agenda for early 2019. The announcement places New York in a small but growing group of states, including neighboring New Jersey, as well as California, Hawaii and most recently Washington, that have announced goals or legally committed to 100 percent clean energy. Vote Solar’s Adam Browning offers up his picks for the most important trends of 2018. In 2002, when solar was $9 a watt, I co-founded an advocacy organization to bring solar into the mainstream. Solar’s made a lot of progress since then, and 2018 feels like a crucial year in many ways, with some key successes and pivotal developments. Here’s my list of the most important stories in solar in 2018, and predictions for 2019. Last year, tense debate over the feasibility of 100 percent renewables entirely consumed the energy industry. Stanford professor Dr. Mark Jacobson stood on one side, arguing 100 percent renewables is already technically possible by 2050, while Dr. Christopher Clack led critiques picking apart that modeling. The controversy even spurred a lawsuit. In 2018 those conversations didn’t entirely dissolve, but they were overshadowed by action. Two states, California and New Jersey, joined Hawaii in committing to 100 percent clean energy (Hawaii’s goal is actually 100 percent renewables). In December, the number of cities committed to 100 percent clean or renewable energy surpassed 100. And recent progress for the “Green New Deal” in Congress has federal policymakers also mulling a 100 percent renewable future. Watertown, Massachusetts now requires solar power with all new commercial construction and retrofits of structures greater than 10,000 sq feet – as well all structures that include ten or more residential units. Solar power as a required part of new construction is starting to catch hold. Last year, we saw South Miami mandate 2.75 kW of solar for every 1000 square feet on new homes. Prior to that it’d been a few cities within California (Lancaster led the way in 2013, with Sebastopol, Santa Monica, and San Francisco) requiring solar with new construction. Now, of course, we live in a time where the whole of the State of California has set a requirement for all new low-rise residential construction to have solar in 2020, and there is much speculation on what that might do to lower installation costs. Tying infrastructure bill to climate change will be ‘dead on arrival,’ says expert. President Donald Trump signaled that infrastructure could be a key area of focus next year, which has been a priority for Democrats for decades. 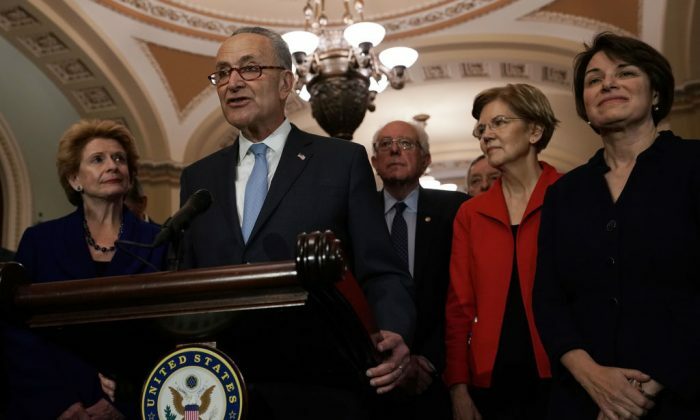 Democratic congressional leaders, however, are coming up with legislative demands that may impede Trump’s much-hoped-for infrastructure reform. The Offshore Wind for Territories Act would allow Puerto Rico, Guam and other islands to tap their offshore resources. The US House passed a bill on Monday that could bring offshore wind farms to territories like Guam and Puerto Rico. The Offshore Wind for Territories Act would amend federal law to allow development in federal waters off the coasts of five US territories, including American Samoa, Mariana Island and the US Virgin Islands. The Washington, D.C. city council on Tuesday unanimously passed the nation’s most aggressive 100 percent renewable energy bill, in what would be the fastest-acting climate change legislation in the country. D.C. Mayor Muriel Bowser, a Democrat, is expected to sign the bill. If she does, Congress will have 30 days to veto the bill. The bill would require District utilities to source all electricity from wind and solar by 2032 — up from its current goal of 50 percent renewables in that time — and would set tough new energy efficiency standards for buildings. The bill's authors say it will reduce greenhouse gases in the District 44 percent by 2032. A new analysis by Wood Mackenzie Power and Renewables finds that the renewable energy and climate ambitions of governors elected on November 6 could increase the total market for solar in five states by 17.7 GWac, if all five pass 50% by 2030 mandates. November 6 was a big night for renewable energy and climate policies. While voters rejected a 50% by 2030 renewable energy mandate in Arizona and a carbon tax in Washington, they also elected governors in five states that have called for stronger renewable energy mandates. Four more either pledged to commit to the Paris Agreement or are in states that have already joined an alliance of states committed to meeting Paris Agreement goals. Wood Mackenzie Power and Renewables has identified renewable portfolio standard (RPS) policies as the most likely way to meet those goals, bringing the total number of states that could potentially see RPS increases to nine. In a new report, Wood Mackenzie looks at the market ramifications of states passing 50% by 2030 renewable energy mandates. This is less than the 100% being called for by three of these governors, however both timelines and total ambition of the final policies will likely be decided through political processes. The report found that if all five pass 50% by 2030 RPS policies, this could increase the total solar that is built by 2030 by 17.7 GWac, and the total wind by 16.5 GW. These volumes and ratios are based on current electric demand and the current wind/solar ratio in each state, and it is important to note that these numbers are outside of other renewable development which may happen for other reasons, including to meet current RPS mandates or driven by factors such as voluntary utility and corporate procurement. The state that would see the most solar market growth as the result of a more ambitious RPS is Illinois, which at 9.1 GWac makes up more than half of the total anticipated increase. This is doubtless due to the much larger population in Illinois, including 8 million residents in Chicago and surrounding suburbs, than other states that are considering raising their mandates. Wood Mackenzie has expressed concerns regarding Illinois’ financial condition, and it is also unclear how the state’s sizable nuclear fleet would fit into all of this. 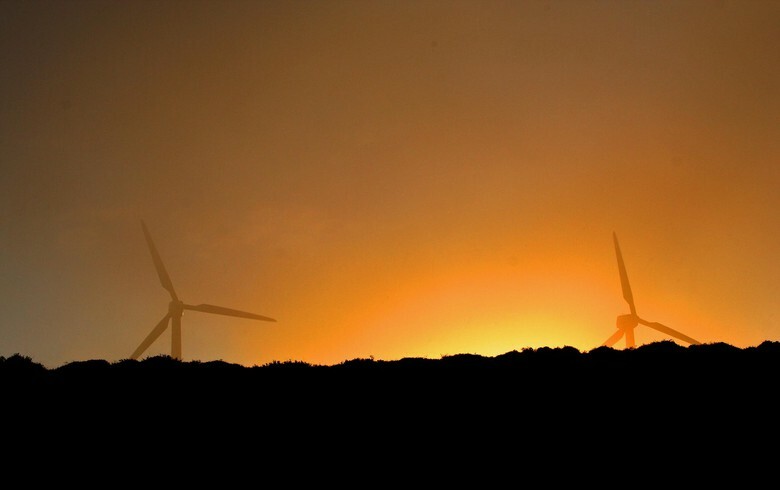 However, the firm points to a large interconnection queue for wind and solar projects, and also the state’s ability to import capacity from other wind-rich states in the region. The state with the 2nd-greatest potential for more solar is Nevada. And while Governor-elect Steve Sisolak (D) has called for putting the state on a path to 100% renewable energy, the initial path forward is up to Nevada voters. November 6 saw an electoral victory for the state’s Question 6, which calls for 50% renewables by 2030, however the bill must go to the voters one more time before becoming law. Wood Mackenzie is projecting that all new capacity under an RPS in Nevada will come from solar, not wind, and that this additional 4 GW by 2030 would more than double the current volume in the state. Nevada is one of only three states where solar met more than 10% of in-state electricity demand in 2017, and the state also has developed its geothermal resources. The report projects that New Mexico, Colorado and Minnesota would each deploy from 1-2 GWac of additional solar to meet a 50% by 2030 RPS. In Colorado and Minnesota wind is expected to dominate capacity additions, but none of these states have particularly large populations and electric demand. Wood Mackenzie also included Michigan in the report, but as major actors in this state do not appear to be contemplating an RPS increase we have omitted this from our summary of the findings. The firm also noted that Democratic governors who have taken office in Kansas and Wisconsin are unlikely to pass RPS policies with Republican control of both houses of each state’s legislature. Wood Mackenzie additionally did not provide forecasts for Connecticut and Maine, due to a variety of factors. This includes a preference in the region for importing Canadian hydropower, and “severe transmission constraints” in Maine. The US Solar Energy Industries Association (SEIA), alongside a broad coalition of energy trade and advocacy organizations, filed a letter to urge the US Congress to modify the tax code to include energy storage as an eligible technology for the investment tax credit (ITC). Energy storage systems are critical to modernization of the electric grid. The National Governors Association has underscored the multiple benefits of energy storage to save utilities, businesses, and households money while enhancing grid reliability and resilience. Energy storage systems are also fuelneutral and help any generation resource connected to the grid become more efficient, productive, and competitive. Jared Polis, the new governor-elect of Colorado, wants to transition the state to 100% renewable power by 2040. Governor-elect Ned Lamont’s aim for Connecticut is at least 50% renewable electricity by 2030, and 100% by 2050. Governor-elect J.B. Pritzker wants to bring Illinois “toward 100% clean, renewable energy,” according to his campaign website. Nevada’s new governor-elect Steve Sisolak says that “I’d like to get us on the road to 100%” renewables and “enable community solar,” underlining that “clean energy creates jobs.” Governor-elect Janet Mills has proclaimed her goal for Maine to run “virtually entirely” on renewables by 2050. Oregon’s reelected governor Kate Brown endorses “100% clean energy by 2050.” The governor-elect of New Mexico, Michelle Lujan Grisham, pledges to increase the renewable portfolio standard, develop transmission infrastructure for renewable energy, enable community solar and expand the use of storage. The new governors-elect Tim Walz of Minnesota, Gretchen Whitmer of Michigan and Gavin Newsom of California are pursuing similar objectives. So far Hawaii has set a goal of 100% renewable electricity by 2045, while California aims to achieve 100% zero-carbon electricity by the same year. The Ministry of Economic Affairs (MOEA) yesterday defended its renewable energy policy roadmap after the Control Yuan issued corrective measures on Friday. The Control Yuan in a report pointed to several shortcomings in the ministry’s renewable energy development plan, saying they could hamper the nation’s long-term progress. Critics have said that the plan was hastily put together to meet President Tsai Ing-wen’s (蔡英文) policy goal of generating 20 percent of the nation’s electricity from alternative energy sources by 2025. California has become the first state in the U.S. to mandate that all new homes built in the Golden State must be solar powered, after law makers passed a historic vote last Wednesday. The initiative, which will come into action in 2020, has been passed unanimously by the California Building Standards Commission and will see all homes in the area equipped with more sustainable energy sources. Members of the board declared the move as a 'historical undertaking' that should act as 'a beacon of light' for the rest of the country to follow. The DC Council gave preliminary approval to landmark clean energy legislation Tuesday that would make DC a leader in the fight against climate change. Though it would be one of the strongest clean energy laws in the nation if passed, substantial changes were made late in the process, at least one of which significantly weakens the bill. 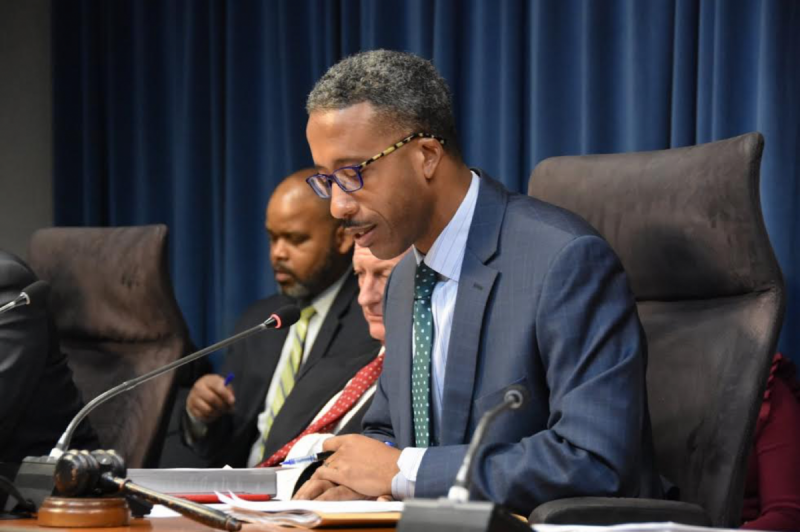 When Councilmember Mary Cheh introduced the bill in July, it included a provision requiring that DC’s electric utility, Pepco, buy renewable energy through long-term contracts. That would reduce DC’s greenhouse gas emissions by 710,000 tons of a year, or 8.1% of DC’s total emissions, according analysis of the bill from the DC Department of Energy and Environment. 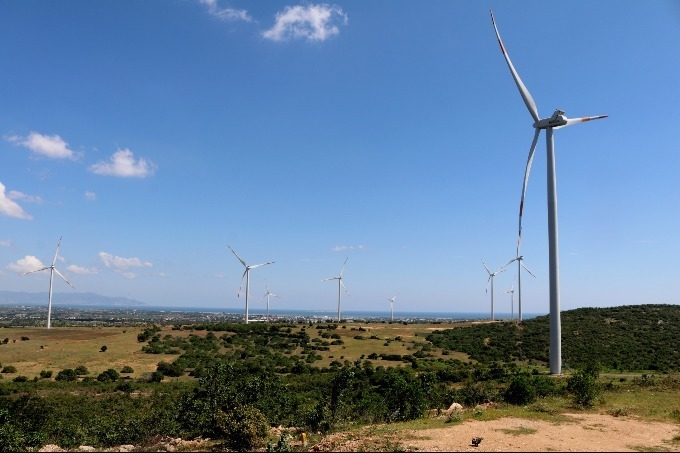 Vietnam’s new feed-in tariffs are attracting great interest in wind power, but investors are concerned about grid connection and purchase agreements. The new feed-in tariffs (FIT) are expected to be attractive to domestic and foreign investors, Tommaso Rovatti Studihard, South East Asia sales director for wind power developer Vestas Asia Pacific, told VnExpress International. The government recently approved tariff revisions under Decision 39 on support mechanisms for the development of wind power.